I was recently shocked when attending a meeting as a “Calgary Bridal Association” member. 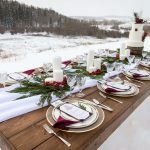 Many vendors in the wedding industry in Calgary are a part of this association. It helps us network, learn new business practices and keeps us in touch with our wedding clientele. This particular meeting was a bridal panel, where many different types of brides were recently or soon to be married. There were many vendor questions regarding budget, decision making, and importance of certain vendors. At this meeting I asked the brides if wedding stationery was important to them, and most said “No”. As a Graphic Designer and Stationery Owner I was surprised! 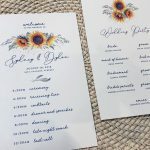 These women had fairly decent budgets for their wedding (roughly $25,000), yet decided not to spend much on wedding stationery! 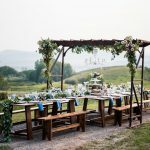 I did some more research and found this article by Huff Posts Weddings interesting. 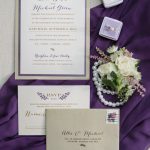 Take a look at some of the pros and cons to using paperless or email wedding invitations. I discuss the benefits and shortcomings below. 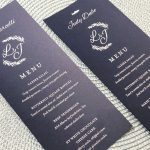 Its cheap – I create budget friendly invites so we can take this off the Pros list!!! In conclusion – Think about picking up your mail, there’s a bright coloured envelope among the bills, and instantly your day is brighter. It brings the knowledge that someone cares enough about you to take the time to pick out and mail a special message to you. Whether it’s a beautiful card or wedding invitation, it is sure to bring a smile to your face. E-mail would be difficult to illicit the same emotional response. As far as paper in concerned I truly believe “You get what you pay for!!”. I hope that helps you when deciding whether to send out an email invite or not. Remember if you are overwhelmed, or just don’t want to deal with the process of ordering invites, come to me! I will make it as easy and pain free !